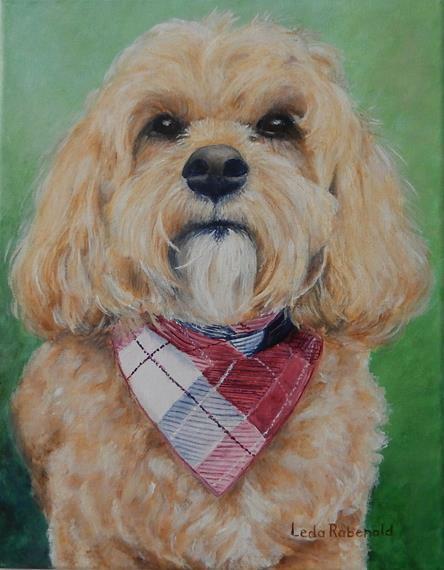 Testimonies: What people say about their pet paintings. Would you like a painting of YOUR Best Buddy? Using acrylic paints and a photo you supply (digital image is preferred), I will create an 11"x14" painting on stretched canvas, ready to hang in your home. You choose the background color. $95.00 plus shipping. For more information or to request a painting, contact Leda. Special order (larger canvas, different price).